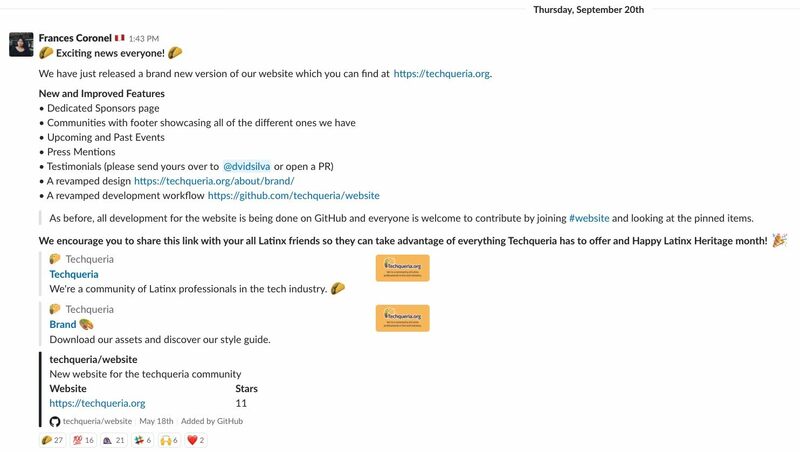 Techqueria is one of the largest communities of Latinx professionals in the tech industry. Organized through Techqueria, ERG leads are now going to start coming together! Presentation about my side hustle - Techqueria.org - for a conference that I did not end up speaking at. It’s been great to work with Frances on the Techqueria.org site. 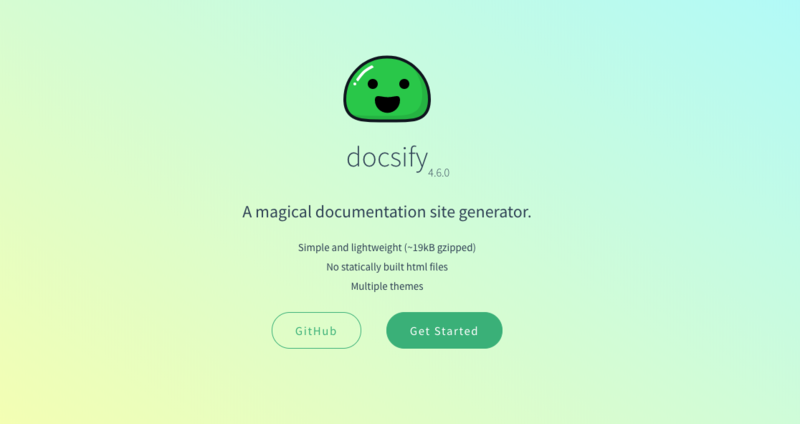 It has become a much more collaborative open-source project with her leadership. 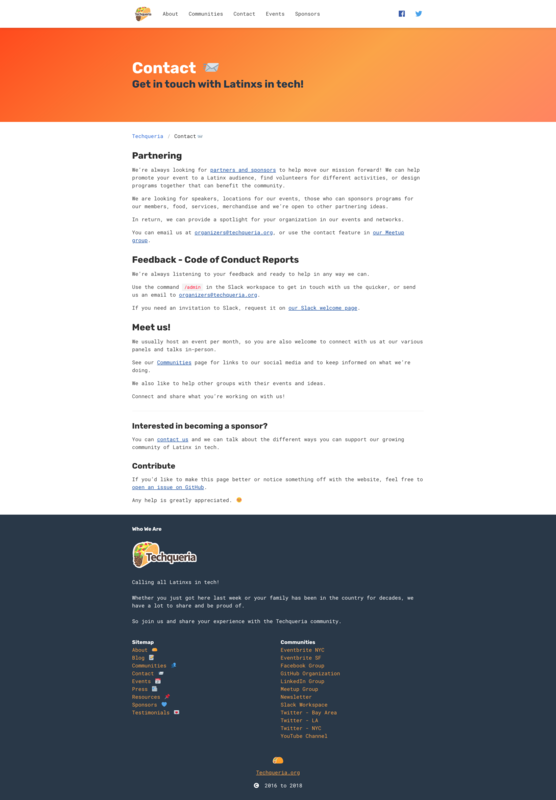 I appreciate how she has made the project accessible to both the maintainers and new contributors. She is a great team member and I enjoy maintaining the project with her. Techqueria is one of the largest Latinx in tech organizations in the US, with a presence in the Bay Area, LA, and NYC. I helped revamp their entire website using Hugo which can be currently found at https://techqueria.org. 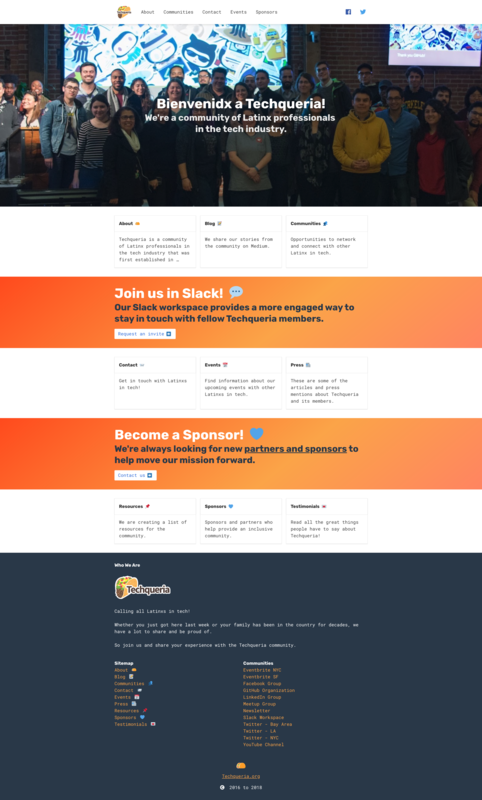 Spent a whole weekend revamping the existing website of Techqueria using a custom Hugo boilerplate I created called Hugoma. 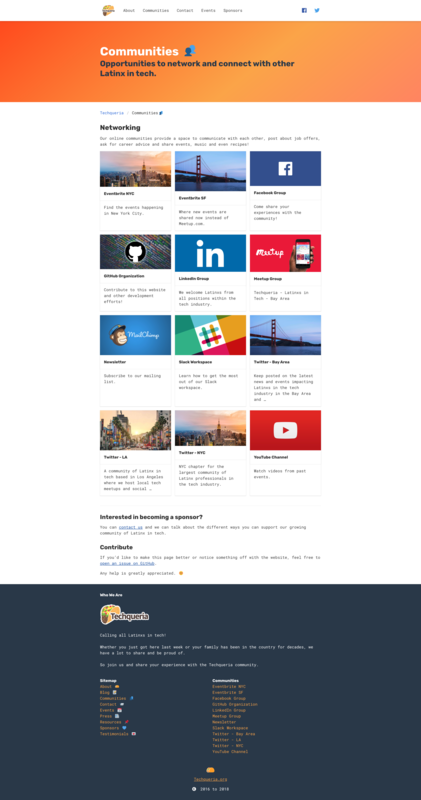 Still in the process of being integrated into main website at https://techqueria.org - currently at https://beta.techqueria.org. Helped spearhead creation of #website channel in Techqueria’s Slack for more collaborative development of the new website. 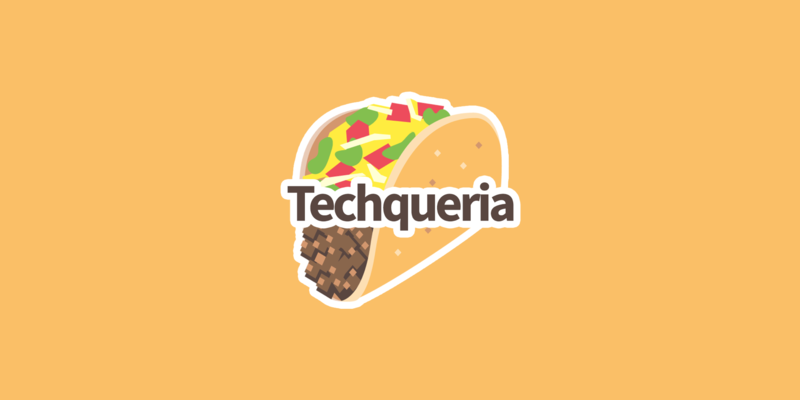 Source code can be found at https://github.com/techqueria/website.